- or even a special alloy based on the customer requirement. Brand: Atlas copco,Ingersoll rand,Elgi,Chicago pneumatic,Kaeser etc..
We provide a wide variety of Piston Assembly.We have ready stock of Pistons Assemblies for the majority of Diesel Engines. Moreover, we can make Pistons as per customer’s requirement. We are offering the high quality Vespa Cylinder Piston Kit (for old model vespa) is designed keeping in mind the various specifications of the industry. We also offer customized design and also offer developments for cylinders. The kits have oem specification genuine components. Being quality-centric firm, we are engaged in presenting a high-class range of Piston Assembly Kit. 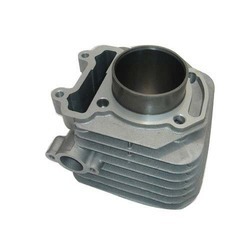 Our company holds vast experience in this domain and is involved in offering Piston Assembly. The chromium-plating process currently used in the automotive industry for the protection of piston rings suffers from serious disadvantages: It is time-consuming and expensive, necessitates purification of effluent waters, and gives coatings which do not ensure the required engine life. We design and develop an array of pistons that are precision made from superior quality free cutting steel. Our team of technocrats and technical experts have been manufactured at our state-of-the-art production unit and find their applications in wheel cylinder brake piston for different two wheeler and four wheelers. For Triplex and Duplex mud Pumps Piston cores are made of normalized carbon steel forgings. Clearances of Piston core and liner bore are kept below 010". Piston rubber cup is of fluid king design. It features a stronger lip as compared to the cantilevered sharp lip. 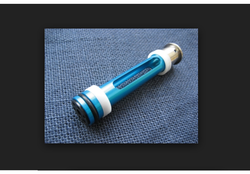 It also extends piston and liner life.